Lately, my Instagram feed has been awash with images of almost-too-beautiful-to-be-real Lacanche ranges. And recently, I learned that at least one of the 200-year-old French company’s hand-assembled, customizable models — the Chagny 1400 — has surfaced in Maine. 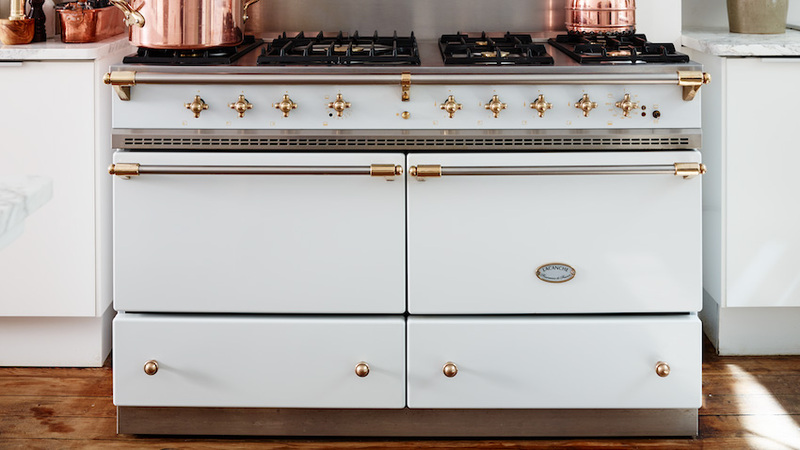 The seven-burner ivory cooker with jewelry-like brass knobs is the centerpiece of a rehabbed Rockport kitchen designed by Tara Mangini and Percy Bright of Jersey Ice Cream Co., who are among Lacanche’s biggest proponents on this side of the pond. Searching for some rationalization for the covetous feelings I have for a piece of machinery that costs roughly as much as a subcompact car, I turned to a fellow admirer, Portland designer Heidi Lachapelle. She points to the current shift we’re seeing away from shiny nickel, chrome, and stainless steel, in favor of matte black, white, brass, and copper finishes offered (among many others) by Lacanche. 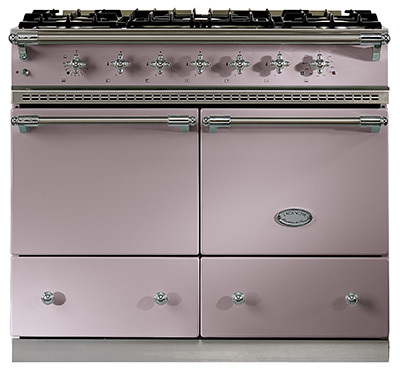 The ranges also have an appealing antique sensibility, reminding Lachapelle of an old wood-burning stove her grandparents had. 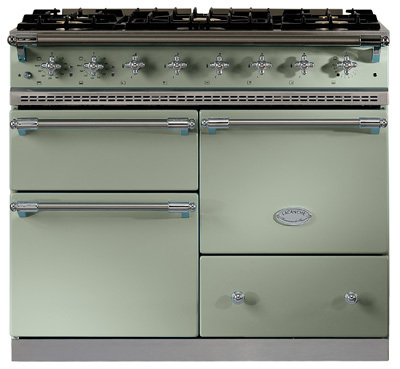 The vintage vibe is what gets me, too — the Lacanche line is like a more refined, efficient take on the mid-century white and pastel appliances I’ve always loved. 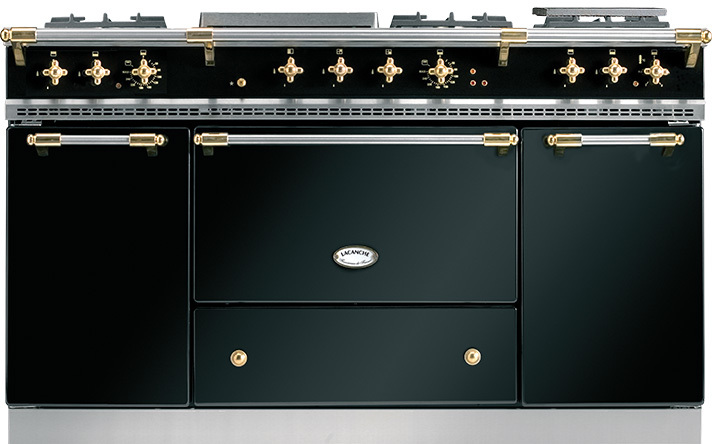 Sigh — whoever said “you can’t put a price on nostalgia” clearly never encountered one of these stoves! If money were no object, would you shell out $6,550 to (oh dear) $19,425 and up for one of these beauties? 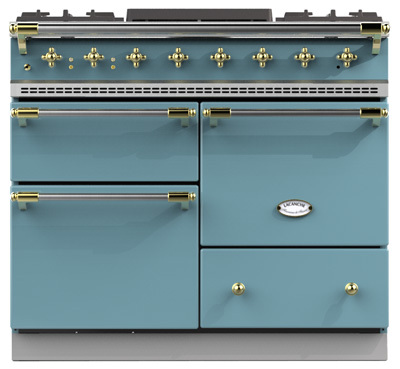 What a wonderful Stove…but no, unless I was a chef or cook in a Grand House….and was using it 10 hours or more a day…i just wouldn’t put it to good use…but its so nice to see the old styling coming back…each a work of art in its own right. Classic, beautiful design. “Home on the Range” ai it were. Ha, nice headline Steve! And thanks for the kind words. 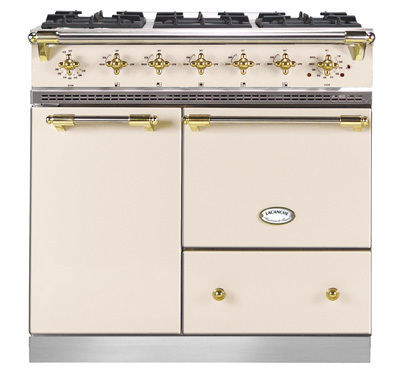 My Lacanche Savigny in brass and stainless is getting delivered today! Oh, my, lucky you! Do you mind my asking if you’re a Mainer? I just haven’t seen many of these stoves here. And let me know how you like your new purchase. Katie, I am SO envious. 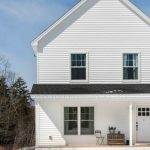 Do you have this stove in a home in Maine? And I’d love to see a photo of how the blue looks in your kitchen. It sounds fabulous. If you like, please send one to [email protected]. Thanks for sharing!